This very versatile acrylic convex mirror will adjust to any angle to allow an optimal line of sight. 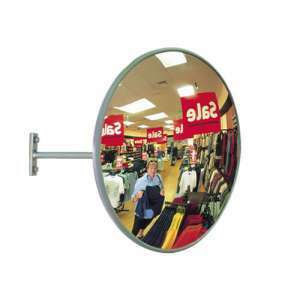 The Indoor-Outdoor convex mirror can be positioned wherever goods are concealed from view by shelving or partitions, and on the end of shelving units and near check outs. The ACM (Aluminum Composite Material) back makes it ideal for sheltered outdoor and industrial situations such as warehouses, hospitals or any other situation where blind spots are present. 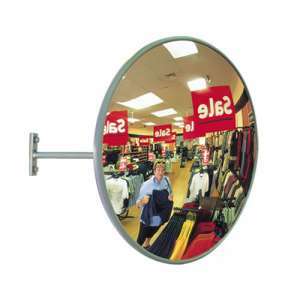 This 12" Acrylic Convex Mirror can be used indoors or outdoors and can be adjusted to any angle to a.. This 18" Acrylic Convex Mirror can be used indoors or outdoors and can be adjusted to any angle to a.. This 24" Acrylic Convex Mirror can be used indoors or outdoors and can be adjusted to any angle to a.. 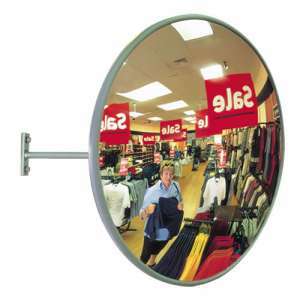 This 32" Acrylic Convex Mirror can be used indoors or outdoors and can be adjusted to any angle to a..